SAN JOSE, Calif., 23-Aug-2016 — /EPR INDUSTRIAL NEWS/ — Sena Technologies, Inc., the global leader in Bluetooth communication devices for motorsport, outdoor and industrial solutions, announced today the release of its new Tufftalk headset, which is engineered with Sena’s almost two decades of industrial wireless Bluetooth expertise. 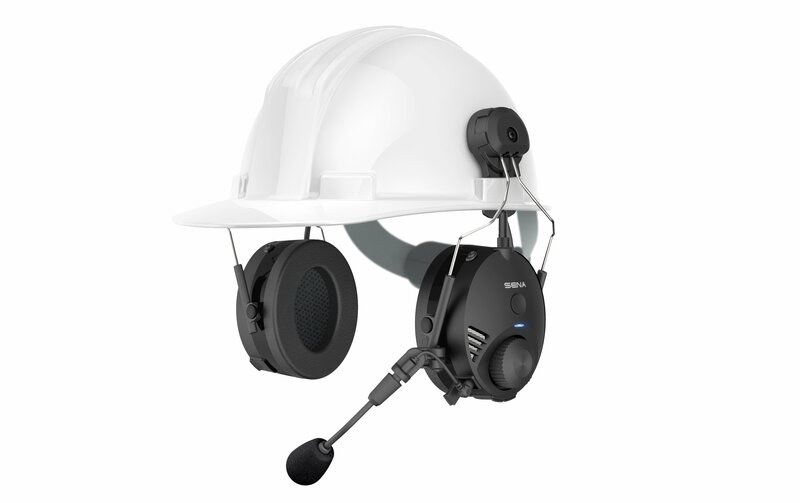 Sena’s Tufftalk, an earmuff Bluetooth® communication and intercom headset, is designed specifically to meet the communication and connectivity needs of industrial applications. Tufftalk sports a 1.4 km working Bluetooth range – the furthest of any product on the market today. Its sturdy design and tough manufacturing offers up to 15 hours of uninterrupted intercom communication between up to four headsets. Coupled with its seamless compatibility with other Bluetooth and two-way radio devices, including Sena SR10i which allows for wireless two-way radio communication, Tufftalk far outpaces the competition. In rough and loud environments, safety is key, and this is exactly where Tufftalk truly shines. Tufftalk’s secure earmuffs help protect users from harmful noise with an audio attenuation of 24dB. The ambient mode feature allows users to amplify external sounds – generating greater awareness of surroundings so important alarms or calls can be heard while still protecting hearing. For more active applications, Tufftalk offers an optional hard hat mount package. Equipped with HD quality speakers, Tufftalk delivers crystal clear audio that industrial mobile workers need to stay safe on busy and noisy worksites. Tufftalk features Sena’s Advanced Noise-Control™ technology, which limits the interference of background noise while maintaining the full volume of voice communication. Sena’s patented Jog Dial design is glove-friendly and easy to control, while the VOX technology allows users to answer phone calls, communicate and react to voice commands, all while hands-free. Tufftalk is also compatible with a Sena App to configure settings and presets easily through any smartphone. As with all Sena units, Tufftalk is completely firmware upgradeable to ensure it remains compatible with all of the latest Bluetooth technology. Since 1998, Sena has been recognized as a wireless leader specializing in Bluetooth-based solutions that benefit both users and businesses at large. Drawing from its industrial solutions, Sena is a leader in consumer goods in the power sports and action sports industries providing communication solutions for this market since releasing the SMH10 in 2011. Like all Sena products, Tufftalk comes with Sena’s industry-leading two-year warranty, and is now available on BuySena.com. For more information and the full Sena product line, please visit: www.SenaIndustrial.com.